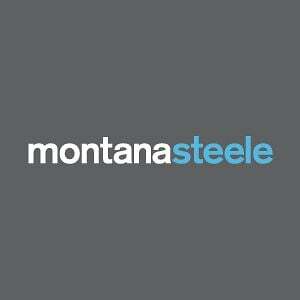 Montana Steele is looking for a Digital Marketing Specialist. If you meet the requirements below, you will be eligible to apply via Digital Marketing Community. Collaborate with account executives to produce a digital marketing strategy that includes recommendations on advertising platforms, audience targeting, ad creative, reporting and budget control. Plan, launch and optimizing (PPC, display, remarketing, video and social advertising campaigns). Plan, execute and measure client websites using Google Analytics by implementing (conversion tracking and report scheduling). Plan, manage and execute all digital advertising buying on search platforms including (Google AdWords, Bing Ads and display networks). Suggest and implement new and creative growth strategies using display and audience targeting platforms and other online advertising avenues. Campaign optimization through ongoing budget monitoring and bid adjustment ensuring maximized (ROI). Suggest and develop new online campaigns across different channels including direct buy and programmatic. Keep up-to-date with PPC, display advertising and search engine marketing trends and collaborate with the different teams to educate and promote digital. Generate weekly and monthly reports that include website traffic reports and goal conversions for management, account executives and clients. Expert working knowledge of using (Google AdWords, Bing Ads Facebook, Instagram and Twitter advertising). Deep understanding of managing and leading search engine marketing campaigns and other online advertising campaigns. Effective knowledge of optimizing user funnels and website landing page improvements. Excellent experience with (MS Office). Strong strategic thinking and decision making skills.